Last Chance For Packs and Upgrades! There's just one week left to get your hands on a Starter Pack and receive exclusive rewards. In just one week, Albion Online will be free-to-play. Since Starter Packs will no longer be sold after April 10, this is your last chance to get all the benefits of a pack or upgrade, including discounted Gold, Premium, and exclusive items, including a forum icon and avatar ring. And with a 25% Fame Boost active from now until April 10, it's the perfect time to dive in and get a head start before the gates open to all players. 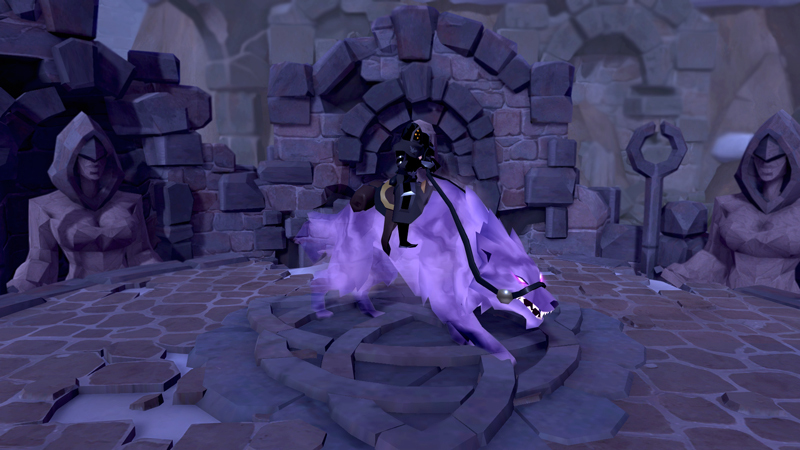 Additionally, all players who have bought and activated a pack before April 10 will receive the Specter Wolf mount. This exclusive thank-you gift will only be available to players who have activated packs before maintenance on the 10th, so don't miss out! Don't miss out – head to our shop and grab a discounted pack or upgrade today!